How to Avoid Clergy Burnout! Being a parish pastor is often a profession that is mostly quite rewarding. We get a salary to tell people about the love of God, demonstrated through the life and death of His Son, Jesus Christ. We understand the privilege of being at the bedside of the dying and newly minted babies. There are times pastors’ see God act in amazing and powerful ways in the life of the Church and his members. That is the real and rewarding part of the ministry. But as with so many professions, there is another side. A lonely side. Here is a balanced look at ministry in this pastor’s lament. or at least first-rate, in all of them. Right now, I am not filling any of these expectations very well. I think that’s why I am tired. I feel that now I can share with the church at large just how challenging and lonely a job the pastor is tasked to accomplish. It is quite an undertaking. If I had shared this while serving a congregation, it would only come off as whining. And I might get a “butch up comment” from my board of elders. I am sharing this not to garner sympathy but understanding. I feel that there is so much more congregations could and should be doing to support the work and ministry of their shepherd. I hope to help to extend the ministry life of pastors. From my personal experiences, many shepherds are teetering on the edge of quitting or burnout. My prayer is that this series on caring for your pastor will help congregations and pastors rediscover the joy of ministry. In the message, today I want to talk about making sure pastors take a Sabbath. Take this word of advice from a workaholic. You are not faithful when you fail to take care of yourself and your family. The Word of God contains over 150 references to the Sabbath. · In Moses day if one did not observe the Sabbath the penalty was death (Exodus 31:14-15). You shall keep the Sabbath because it is holy for you. Everyone who profanes it shall be put to death. Whoever does any work on it, that soul shall be cut off from among his people. Six days shall work be done, but the seventh day is a Sabbath of solemn rest, holy to the Lord. Whoever does any work on the Sabbath day shall be put to death. That sounds a bit harsh. Pastor take a day off or we kill you. But some of us clergy types are so hard headed that maybe this kind of law is the only motivation we understand. But think of it this way. We desire that our members take a day out of their busy, over-taxed lives and commit that day to the Lord. Should we as the spiritual shepherd not also take up that challenge? Not only is it good for us, but it is commanded by God. Now, while a pastor taking Sunday off is not an option, it does not mean we should not have a Sabbath day. Does it matter when the Sabbath is observed? Nope, just as long as we do. How well those beautiful words of Jesus apply, ‘Come to me, all you who are weary and burdened, and I will give you rest’ (Mat 11:28). Jesus’ words in Matthew is so fitting for our topic of rest, the people were burdened with all requirements of the Jewish laws. Many pastors are loaded with the programs and expectations of ministry. Jesus says to you, stop it! Ministry is not supposed to be this complicated. Learn to stop take a day to Sabbath and to refresh yourself and reevaluate your priorities. You desire it; your family needs it, and your people will be blessed by it. Take time to write down all the activities that recharge your batteries. How often do you take time to engage in those activities? Here is an idea to pitch to your church leaders. Have them put money in the budget to give you Sabbath Sundays. These are not vacation days. You still need time away from the rigors of pastoral ministry. But put in the budget money for guest preachers to give you a break during the year. Imagine how refreshing it could be for you and your family to worship together and have someone minister to you. Stuart, D. K. (2006). Exodus (Vol. 2, p. 655). Nashville: Broadman & Holman Publishers. Rest is so important. It should be daily, your time with God. My family watches, and when I am talking out of my head my son will say, “Mom, have you read today?” The family watches, and so does the church and the world. Our light shines when we put time with God first, even if time with Him takes all day! This is the highest form of rest. I retire early to find Him early in the morning. I find that the house is quiet, and so are the pets. My husband is a pastor, and our son lives with us. He takes care of us by cooking good meals when we come back from the church. I am on a mission to finish reading my Bible this year. Isaac helps, and he encourages me to finish. Smile. I pray that you succeed at that mission. Thanks for reading and yes rest is so important. 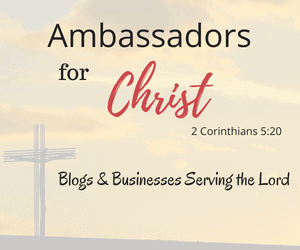 It keeps us at our best to be the best ambassador for Christ we can be. Fellowship is important, and it begins with Him. I lack eleven books of the Bible finishing for the 7th time. My goal is to read, enjoy, and eventually finish. It won’t have to be this year, but I would like to finish what I started. Smile. Teen challenge puts out a paper with New and Old Testament books and chapters. I mark them off, and I can read anywhere this way. It is so important to have a day of rest. Also burnout is guaranteed when the congregation expects the pastor to God to them. Boundaries are so important. Well stated post. That post should be a mandatory read for every Christian congregation. It might open some eyes and hearts. Thank you. I could only write it now that I am not a parish pastor. Thank you. I just want congregations to better care for their pastors. You are right and I used Sabbath maybe loosely because pastors in a work on our Sabbath. my comment was not meant as criticism. Just a point of distinction, because, as you observe, most in the church are not aware of this, it would seem. Bravo!! I feel this is a well under-used topic!! I pray often for those in ministry work; that they take into consideration how valued they are by those whom they serve, that we (as benefactors) are reminded of the ‘sacrifices left at the altar’ they make for us, and the wisdom to recognize that even Jesus went off to the desert to receive His rest and time with the Holy Spirit that was necessary to complete His works. Hugs & Blessings to you for reminding us all of this necessary need for rest for our Shepherds!! Thank you Dawn for that encouragement. The current trend is pushing us more and more into extreme workaholic tendencies. This is a great reminder that God has call us to pause in the things of life in order to re-center. There is so much rewards waiting for such a practice in our weekly schedules. I do, however, disagree with the idea that the day doesn’t matter. There is ample textual evidence that supports a seventh day sabbath, as in the one the Jews observe (Saturday), as oppose to the idea of choosing a day to keep. This latter approach uses the sabbath as a principle rather than an ongoing necessity as is understood with the rest of the words that were spoken in Exodus 20. Nevertheless, this is a great step in the right direction. A much needed conversation on the benefits of such a practice. I agree that day matters. I was just talking to pastor’s who have worship services on Saturday and Sunday. That they still need to pick a Sabbath day. Thanks for reading and taking the time to give feedback. Who Are You Overlooking on Your Emmaus Road Experience?